Essex County, NJ – Essex County Executive Joseph N. DiVincenzo, Jr. announced on Monday, April 8th that Essex County was participating in 11 special partnerships to increase awareness about and help raise funds for the American Cancer Society, American Heart Association, the Arc of Essex County, the New Jersey Children Alliance, Stop for Nikhil, The Valerie Fund, the Arthritis Foundation, the St. Barnabas Medical Center’s NICU, RWJBarnabas Health, St. Jude Children’s Research Hospital and they Cystic Fibrosis Foundation. DiVincenzo is inviting the public to come out and support the worthy causes of each organization. In addition, the Executive announced that participants from each event will receive reduced admission to the Essex County South Mountain Recreation Complex on the day of their respective fund-raising events. “Each of these well-respected organizations does a great deal to make a positive difference in and improve the quality of life for our residents. I invite the public to run, walk or donate to help out these really great causes,” DiVincenzo said. “To say thank you to these organizations and the thousands of people who support them, we are offering reduced admission to Turtle Back Zoo, Codey Arena and the miniGOLF Safari for the people who participate in these events,” he added. “These events are rewarding, and promote team building for our residents and employees. 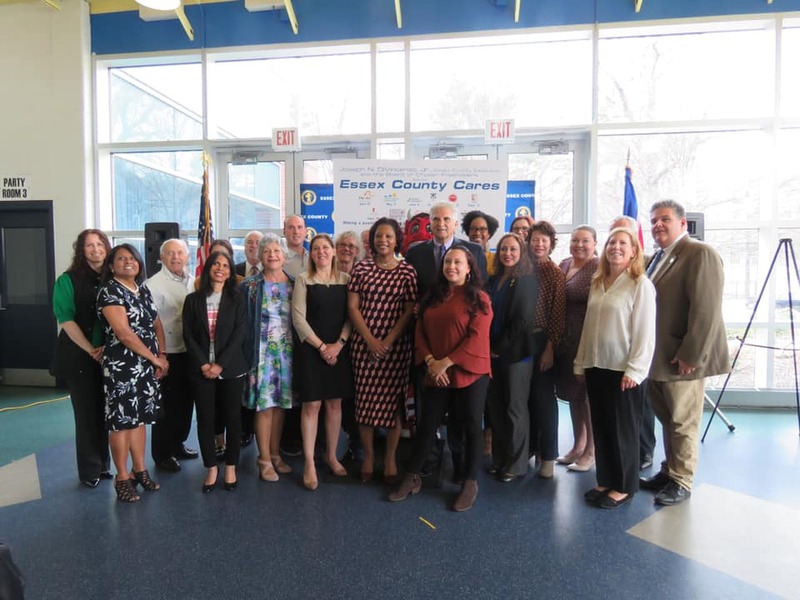 We know the great work all 11 organizations are doing and the passion that you have for your causes,” said NJ State Senator and Essex County Deputy Chief of Staff Teresa Ruiz. “There are no many wonderful organizations throughout Essex County and this is our opportunity to show how much we care,” Freeholder Patricia Sebold said. “”I want to thank these organizations for choosing to have their events in Essex County,” Freeholder Len Luciano said. “Everyone knows how important these events are. For our officers, it’s a labor of love,” Sheriff Armando Fontoura said. “These are all very special events that happen throughout the year. Our employees have a genuine feeling of support for these organizations because their families are personally affected,” Deputy Director of Human Resources Jacqueline Jones said.